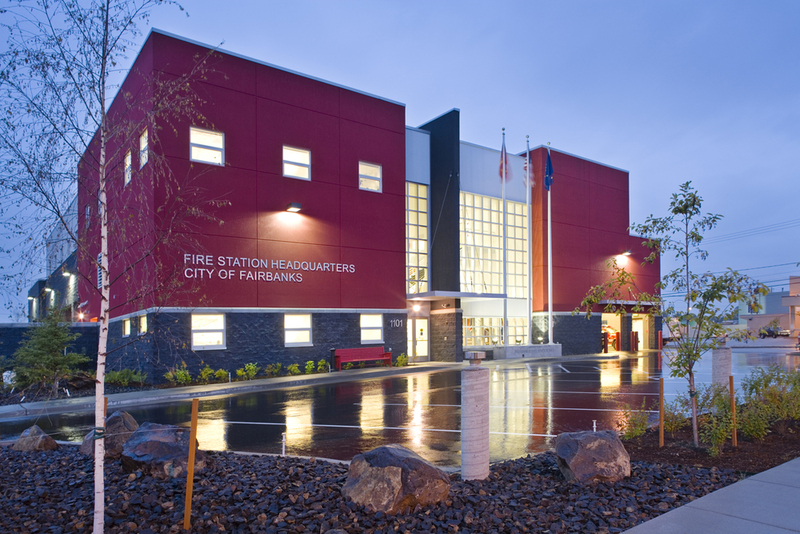 KPB Architects led the design team for this newly programmed and designed facility to provide administrative offices, meeting rooms, sleeping quarters, kitchen facilities and living areas for the City of Fairbanks Fire Department. 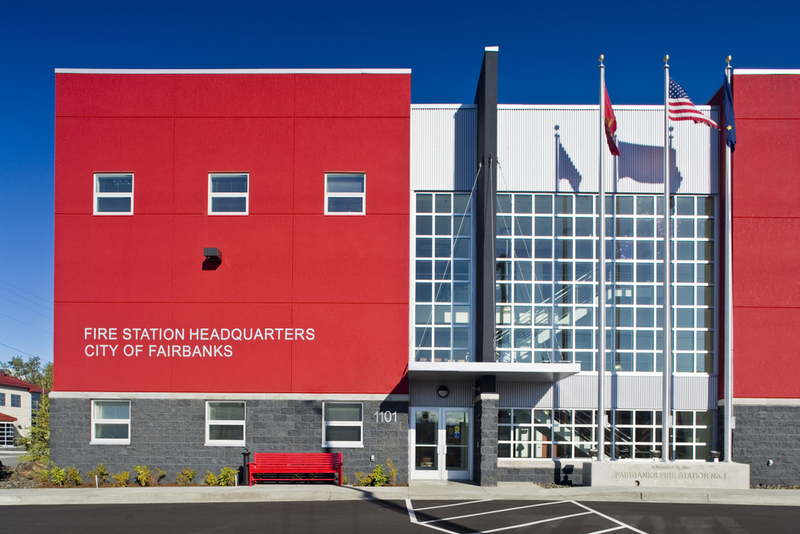 “Emphasize the apparatus bays as the main function of a traditional fire station and create a public-friendly structure that ties visually to the nearby city structures, yet is prominent as a community facility. 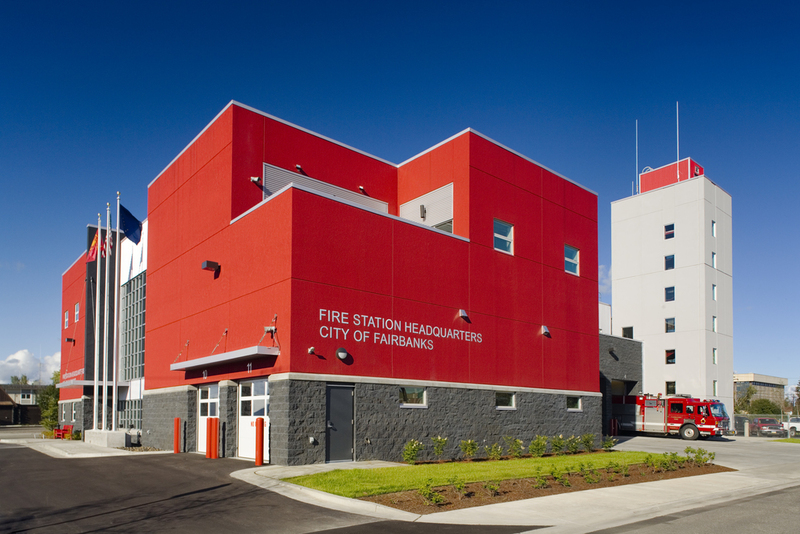 Incorporate design strategies to ensure the facility offers the daily occupants a sense of security, functions to the highest level of efficiency, and provides a comfortable living environment for the primary user group, the fire fighters."